In congressional politics, it's an unwritten rule: incumbents get re-elected and challengers lose. In Pennsylvania this year some truly oustanding candidates are swimming against that tide -- and look like they just might "make it to shore" (i.e., win). Although I usually save my Pennsylvania-specific columns for that site, I'm reprinting this column here because it bears on races across the nation. How Does a Challenger Beat a Strong Incumbent? What he means by that is that his work began with a small circle – consisting of things like a crime scene, some relevant clues, perhaps a few witnesses, and perhaps a suspect (or “person of interest”) or two. Solving the crime meant building on the small circle, seeking out more details and people to bring the case to a good conclusion. In another words, it was necessary investigators to build bigger circles in order to solve the crime in a way that would result in a successful prosecution. Politics functions in much the same way. A candidate starts out with a handful of staff members, a relatively modest group of strong supporters, as well as a small list of donors. In fact, many potential donors are afraid to contribute, because they fear the wrath of the incumbent. Other people who hesitate to donate would rather not back someone they perceive as a loser. As a candidate, you need to get supporters to reach out to friends, neighbors, and family members . . . and turn them into new supporters. The way to get support is to ask for it – or, perhaps, to get someone else to ask for it. Get one supporter to attract 10 others – and then ask the ten “newbies” to do the same. Tell supporters exactly what kind of behavior – by them and others – is necessary for you to win. Explain also how you do need contributions – small, medium, or large – to get your message out. Point out to people of modest means that modest contributions are welcome – and extremely helpful. Everyone has an e-mail list. I have one with 500-plus activists nationwide, and it grows every bay. If people have a list with 10-20-30 or more people on it, send out e-mails that say, for example, “I met Toni Gilhooley, candidate for the 17th district seat in Congress. She spent 25 years working for the PA State Police, and her husband did the same. Ask for votes. Ask for support (and give some specifics about what “support” means). And ask for money. And keep mentioning your web site. If you as a candidate keep extending your “circles,” at some point a large segment of people in your district will vote for you on Election Day. But the key is explaining to audiences, large and small, exactly how they can help you to win your uphill battle against the incumbent. On Monday, I’m going to use a football analogy – you can’t go wrong with football stories in Pennsylvania – to show exactly how a big underdog won a very important game. The team did so by figuring out exactly what they had to accomplish to win – and then went ahead and did it. Right now, I’m one of the few people that believes Melissa Hart. (4th CD), Toni Gilhooley (17th CD), and Marina Kats (13th CD), and a few others (like Tom Manion, 8th CC) can win. They’re running against heavily financed incumbents who will do anything necessary to prevail. I believe Melissa, Toni, Marina, and Tom can win – if they do everything right. Most importantly, they have to keep expanding those circles. Here's the key: The people who volunteer to help -- and actually do so, by putting up yard signs or going door-to-door -- are the most likely to recruit others who will help. The people who donate are most likely to know others who will do the same. Strength builds on strength. If someone contributes $200 or more, ask them if they'd like to serve on the Finance Committee. If someone contributes $2300, make them one of the co-chairs of the Finance Committee. Have frequent meetings with the entire Committee. Every dollar you spend should be getting you votes. To regular visitors, I'll have a new column up about 5:30 p.m. on Saturday. Sarah Choice for VPBy Stephen R. Maloney(SJ Reidhead) My VP week on Moms for McCain would not be complete without mention of fellow Mom and Alaska Governor Sarah Palin, another "rising star" in the GOP, who has a unique ability to appeal to several key constituencies. If you're interested in another candidate who might one day end up in the White House, check out my piece on PA's Melissa Hart: http://pennsylvaniaforjohnmccain.blogspot.com/. I hope all Pennsylvania visitors will check out that site, one where I'm currently writing about key congressional races. Gov. Sarah Palin -- beautiful, yes, but also extremely talented and a true patriot. Jean, a Princeton grad and originator of the very popular Moms4McCain site on blogspot.com, wrote the following piece. In my view, Jean is in many ways just as much a star as Sarah Palin. This column appeared on http://mccainnow.com (which I urge everyone to join) and on Jean's own site. Hillary Supporters (and others) who are "moms" should consider getting behind Sarah as a vice-presidential choice. The DailyKos and Moveon.org crowds fear Sarah, which speaks volumes about her strengths. (There are growing rumors that Sarah is on John McCain's short-list for the VP nod, and I discuss that situation on: http://stevemaloneygop.blogspot.com. My VP week on Moms for McCain would not be complete without mention of fellow Mom and Alaska Governor Sarah Palin, another "rising star" in the GOP, who has a unique ability to appeal to several key constituencies.This election has been about breaking barriers, shattering glass ceilings, and overcoming stereotypes - and that's a good thing. I have discussed before why I don't think merely being a woman or minority candidate is sufficient, in principle or in practice, to earn the votes of Americans and win an election.However, as my friends on McCain Now pointed out, the strategic reality before John McCain is that millions of would-be Hillary voters are about to come "up for grabs", a significant number have shown consistently they are willing to vote McCain. Choosing a female VP would be a strategic move to show disenfranchised Hillary supporters that women have a prominent place in a McCain White House.That issue aside, Palin would be an outstanding pick even if she were equipped with different body parts. Palin complements McCain's strengths and would, I believe, strengthen the Republican party's national image. With unheard-of approval ratings near 85-90%, former beauty queen Palin was not an obvious choice to lead a state that many of us associate with igloos and parkas. Like Jindal, she ran for office to fight the notorious corruption in her state (remember the "bridge to nowhere"?) and like McCain, fighting for responsible spending and accountable government has been a hallmark of her leadership. Palin walks the walk on conservative values, as a cautious spender, avid sportswoman, 2nd-amendment defender, and true example of pro-life values in action. 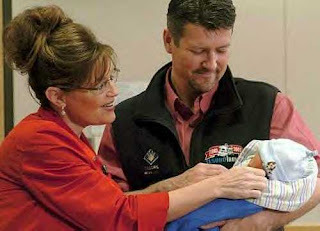 Already a mother of four, Palin became pregnant at age 44 and learned early in her pregnancy that her child would, most likely, have Down's syndrome. Palin showed courage and character, leading throughout her pregnancy and even posing for Vogue. She went into labor early (been there, done that!) during a Governors' conference -- at which she had the opportunity to informally 'remove herself' from VP consideration, and didn't take it. To be clear, I don't think we should hand this woman the vice-presidency because she gave birth a lot and in brave ways (although I have to admit, as a Mom, this appeals to my head and my heart). I also don't think we should take lightly the responsibilities of raising a special-needs child - but other women in Washington have done it, and it would be sexist and presumptuous to make that decision for her. Steve Adds: Even if you're not a mom or even a female -- to both of which I plead guilty -- I urge you to visit Jean's Mom4McCain site. Mothers are a critical constituency in this year's election, as they are in most. As for Jean, she's as good as it gets on the blogosphere. 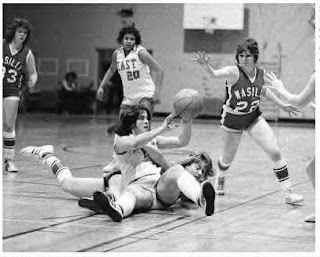 On my Hillary Supporters for McCain site, I have a guest piece by Jean Avery about how McCain should consider Alasska Governor Sarah Palin as a running mate. Jean Avery is someone you should know -- her site is: http://moms4mccain.blogspot.com -- because I hope she's one of many national figures who will "adopt" and support outstanding Pennsylvania congressional candidates. The piece by Amanda Carpenter at the bottom of this column is good on Obama's misrepresentation of his uncle supposedly liberating Auschwitz (which was actually liberated by the Soviet's Red Army). Like so many things in Obama's "story," it never happened. Obama tries hard on the campaign to indicate some connection with the U.S. military. Actually, he has none, but he keeps trying. He's also trying -- almost desperately -- to find links to the White voters who have been rejecting his candidacy in huge numbers. In the early phases of his campaign, Obama's goal was to convince Black voters that he was "Black enough." That approach didn't emphasize that, biologically speaking, Obama is as White (he had a Caucasian mother and was brought up mainly by "white people") as he was Black. Now, he's emphasizing his "whiteness." In commercials, he shows his 85-year-old grandmother in order to establish his Caucasian "credentials." So much for "post-racial" politics. In his stump speech,Obama talks about how his grandfather "served in Patton's Army." That is true, but in Dreams From My Father, Obama adds that his grandfather "never saw combat." He portrays the grandfather (and the grandmother) as clownish figures. However, if the grandparents had any anti-Black feelings, they certainly had an odd way of showing them, because they apparently never treated him with anything but love. Too bad he hasn't reciprocated. He notes in his speeches and ads that his grandmother worked in a "bomb assembly plant." That seems to be true, but she's the same individual Obama calls "a typical white person." In his formal remarks, particularly the famous "race" speech in Philadelphia, he emphasizes that his grandmother was frightened of Black people. That appears to be untrue. The grandmother apparently was frightened by a man (she never told Barack it was a Black man) who was very large and very demanding in his insistence that she give him money. It was his grandfather who told Barack that the man had been Black. Obama also likes to portray himself as the product of a single-mother childhood (which is partially true, as the grandparents also raised him) and having lived in some measure of poverty. From everything I can see in "Dreams" he lived a childhood similar to mine, and to call it a "poverty" upbringing is false. There is more going on here than just the normal political hyperbole. Obama has a "rich" fantasy life, and he exaggerates repeatedly about his pre-adult life. If you go on to the SECOND autobiography (Audacity of Hope), you can find the hyperbole about his adult, particularly the "community organizer" phase. In my humble hometown of Ambridge, PA, we sometimes have something like community organizers, but we generally call them "unemployed." Michelle Obama made in excess of $300,000 working in something called "community outreach." I don't believe we have any jobs like that in Ambridge. Obama has made more than $5 million from his books, but Michelle talks, disingenuously about how difficult it is to fork over money for her daughters' ballet lessons. Give us a break, Michelle. Barack Obama’s campaign staff is scrambling to explain a family story Obama told on the campaign trail that rivals say is untrue and warrants explanation. At a Memorial Day campaign stop Obama told a story about his WWII veteran uncle who allegedly liberated Auschwitz. Upon returning to the United States, according to Obama family lore, the uncle spent months alone in his attic. 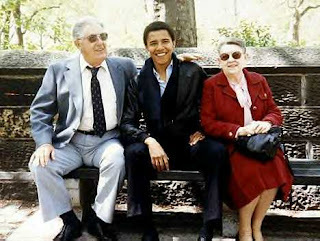 The trouble is, the Red Army liberated Auschwitz and Obama’s mother is an only child. (His father left him at a young age, so it was unlikely the uncle in question was related to his father. )The Republican National Committee and members of the media seized on the story, demanding clarification. Shortly after, an Obama campaign spokesman said Obama did have a great uncle who helped liberate a different war camp. The campaign said Obama’s great uncle on his mother’s side, Charlie Payne, was a member of the 89th Infantry Division that liberated Buchenwald in 1945. If you're a candidate (current or future) or a supporter of candidates, check out my Pennsylvania blog, where I write about what works in modern campaigns -- and what doesn't. On my Hillary Supporters for McCain blog, I have some great cartoons about candidate Obama, as well as original jokes about the Illinois Senator and his wife. It's at: http://hillarysupportersformccain.blogspot.com. The site is getting a lot of hits. Democrat Congressman Paul Kanjorski assuring two of his constituents that a Democratic Congress will ensure that they live forever. The column beneath this one talks about Rep. Paul Kanjorski, a Democrat who represents (loosely speaking) Pennsylvania's 11th Congressional District (Scranton/Wilkes-Barre area). He the Democrats -- collectively -- lied to the American public about ending the Iraq War. Kanjorski (not the sharpest knife in the silverware drawer) said the following about the Democrats 2006 election strategy:"I'll tell you my impression. We really in this last election, when I say we...the Democrats, I think pushed it as far as we can to the end of the fleet, didn't say it, but we implied it. That if we won the Congressional elections, we could stop the war. Now anybody was a good student of Government would know that wasn't true. But you know, the temptation to want to win back the Congress, we sort of stretched the facts...and people ate it up." Should Rep. Kanjorski's Republican opponent, Lou Barletta (Mayor of Hazleton) use this against Kanjorski? Goodness yes! Barletta should memorize Kanjorski's words and utter them at least five times a day.Should other Pennsylvania Republicans challenging Democrat incumbents use the Kanjorski remarks against their opponents? Absolutely. Remember, Kanjorski isn't just talking about himself. He notes that when he refers to "we . . . the Democrats" who implied that electing them would end the war. It wouldn't, of course, and it didn't. Pennsylvania Republican candidates should regularly call attention to Kanjorski's remarks. So should GOP candidates in every section of the country. They should point out that Democrats across the nation were lying to their constituents. As authority for that charge, we should point to Rep. Kanjorski. If ending the Iraq War means fleeing in abject ignominy, which is exactly what the Democrats mean by "setting a timetable," then there probablfy would be a disaster. Mass murder might break out in Iraq. Al Qaeda would re-assert its power -- and use Iraq as a training base for terrorists to strike and kill Americans, as well as every Muslim that isn't a fanatic. Because much of the world's oil comes from Iraq and its neighbors, there could be a real calamity for the U.S. If the oil flow dries up, the American economy could collapse. What would the Democrats' strategy be if such disasters occurred. 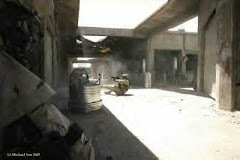 Barack Obama has said that he would reserve the right "to re-invade Iraq." Well Barack, good luck. I assume Obama's fall-back position would be to blame everything on "George Bush," the Democrats' favorite whipping boy. As I've said before, Paul Kanjorski, one of the corrupts politicians that Pennsylvania breeds with entirely too much frequency, told the unvarnished truth, perhaps for the first time in his political life. Republican candidates should take that "inconvenient truth" and rub their opponents' noses in it. I'm going to leave this column up on Sunday -- to give Cong. Kanjorski his "15 minutes of fame" (Andy Warhol quote) -- or, in this case, infamy. I'm sure Democrat spinmeisters from DC are even now teaching Kanjorski how to say the words, "Well, what I really meant was . . . blah, blah." For this one moment in his lifetime the Congressman apparently meant exactly what he said -- that he and his fellow Democrats lied about the War in Iraq in order to get elected. I'm sure he now knows better than to ever tell the truth. I'll be adding some new material Sunday on my "Pennsylvania" blog, which you can find at: http://pennsylvaniaforjohmmccain.blogspot.com. Come visit! On my somewhat strange, but popular, "Hillary" site, I have a column about whether a new mother -- Sarah Palin -- should be able to run as a VP nominee. You can find it at: http://hillarysupportersformccain.blogspot.com/. There's some give-and-take. Sarah is the "wunderkind" of American politics. "In light of his admission that he and other members of the Democrat Party lied, I believe that Congressman Paul Kanjorski should do the honorable thing and resign immediately. He violated the trust of the people of his district and betrayed them through his purposefully deceitful remarks. I demand that other members of the Democrat delegation come clean as well and let the public know if they were part of this conspiracy. "Paul Kanjorski said that the Democrats ‘stretched the facts' for political reasons during the 2006 election cycle. As a veteran, I find Congressman Kanjorski's admission to lying about the facts of the War startling. The fact that Paul Kanjorski and the Democrats put their own political interests and thirst for power above the lives of the brave men and women fighting to protect our country sickens me. By misleading the nation and the world about the progress being made in Iraq, Kanjorski and the Democrats put the lives of our troops in danger, and they should be deeply ashamed of themselves. This is a sad day in American political history." At a recent event, Congressman Kanjorski told a crowd the following about the Democrats 2006 election strategy:"I'll tell you my impression. We really in this last election, when I say we...the Democrats, I think pushed it as far as we can to the end of the fleet, didn't say it, but we implied it. That if we won the Congressional elections, we could stop the war. Now anybody was a good student of Government would know that wasn't true. But you know, the temptation to want to win back the Congress, we sort of stretched the facts...and people ate it up." Click here to watch the Congressman admitting that the Democrats political strategy in 2006 was to knowingly mislead the public on the War in Iraq. My comments: The Democrats in Pennsylvania who lied about the Iraq War for political gain include: Chaka Fattah (2d District), Jason Altmire (4th district), Joe Sestak (7th district), Patrick Murphy (8th district), Paul Kanjorski (11th district), John Murtha (12th district), Allyson Schwartz (13th district), and Tim Holden (17th district). Gee, how many of these liars deserve to return to Congress so they can continue lying to us? Zero seems like a good number. All these Democrats are career politicians, perpetually feeding off the public trough. They can conceive of no other "job," nor can anyone imagine them holding one. Please, my fellow Pennsylvanians and Americans, put them in the unemployment lines. To Pennsylvania Democrats and Independents, you do have other choices than to vote for this pack of liars. Stand up for Pennsylvania, America, and the truth by voting them out of office. In 2006, Cong. John Murtha knowingly lied when he called American Marines "cold-blooded killers." He did so in an effort to win the position of Majority Leader. Cong. Murtha's despicable behavior demonstrates that Paul Kanjorski is not the only member of Congress who should resign. Of course, Murtha is so self-absorbed that there is no way he intends to leave his role as "The Prince of Pork" other than to exit feet-first. Twelth district voters should help him on his sorry way. More about Cong. Jason Altmire, Murtha's pet "piglet," this afternoon . . . Please support these outsanding candidates. You can do so by clicking on their names and going to their web sites. Their opponents are gathering money from hate-America Democrat groups like http://Moveon.org and the http://DailyKos.com.Please give as generously as you can to the GOP candidates. 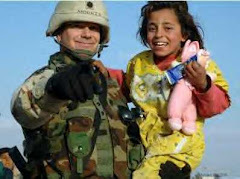 "Since most Democratic congresspeople in PA are dumb as doorknobs when it comes to Iraq, they invariably follow John Murtha's lead." ON PAUL KANJORSKI BELOW. Kanjorski is the second ranking Dem on Finacial Services. He's chairman of the Capital Markets, Insurance, and Goverrnment Sponsored Enterprises Comm. He's the 4th ranking Dem. on the Oversight and Goverment Reform (!!!!!) Committee. He voted FOR the Iraq Timetable. He is a major misuser of earmarks and in that works very closely with "The Prince of Pork," John Murtha. He was involved in the "Cornerstone" scandal, getting huge earmarks for a company that was supposed to turn coal to oil. Instead, it turned itself into bankruptcy. Former employees of Cornerstone said Kanjorski "often took an active role in its operations." A Penn State University described the Cornerstone fiasco as "The Three Stooges meet anthracite." His seat is described as "safe," but it is a lot less safe today than it was last Saturday. The median income in Kanjorski's district is well below the national average. The poverty rate is above the Pennsylvania average (See Michael Barone, Almanac of American Politics, 2008, pp. 1410-1412) His opponent this year is Republican Lou Barletta, mayor of Hazleton. I guess this is Alaska Governor Sarah Palin week on Camp2008VictoryA. Several important bloggers have endorsed Sarah recently. One of them is the absolutely wonderful Jean Avery, who manages http://moms4mccain.blogspot.com. Jean is one of the brightest political activists in America (along with Sharon Caliendo), and I urge you to visit her site. (Sharon blogs at: http://democratsforsale.blogspot.com). You also want to visit the site of the individual, Colorado's own Adam Brickley, who founded the "Draft Sarah Palin Movement." He blogs at: http://palinforvp.blogspot.com. Two years ago, he was the only member of the movement. I was the third. Now, Sarah Palin is a national fiigure with an army of supporters. It would be a bold, imaginative step for John McCain to pick Sarah as his running mate, but boldness and imagination are just what we have come to expect of the Senator from Arizona. If you want to read just one article that captures the essence of Sarah's appeal, see Fred Barnes' Weekly Standard piece ("The Most Popular Governor") at: http://weeklystandard.com/Content/Public/Articles/000/000/013/851orcjq.asp. Thanks also to Cindy at The Pink Flamingo, one of the most popular blogs, for her continuing support of Sarah. And a salute to the irrepressible (and almost unpronouncable) FullosseousFlap, a big-time blogger, for his endorsement of Sarah this week at: http://flapsblog.com/?p=7028#comment-87351. If you haven't yet seen my HillarySupportersforMcCain blog, one of the most unusual going, well, what are you waiting for? McCain's chances for the presidency rise and fall on the basis of how effectively he can attract Hillary Supporters. BLOGGERS AND OTHER ONLINERS: IF YOU HAVE A BLOG OR WEB SITE, PLEASE REPRINT THIS NOW! The points made by "Ted" are so important I'm putting this up on all my blogs. Here's an important piece of advice: If it looks like it's going to be McCain/Palin anyway (and that should be a "no brainer" for Team McCain), McCain should announce NOW or VERY SOON, rather than later towards the convention. There's currently a growing chorus for Obama/Hillary (as VP) ticket (in fact the Dems are likely aware of the Palin phenomenon). If the GOP waits while movement for Hillary as VP grows -- even worse until after it is solidified that Hillary will/could be VP pick -- selecting Palin will be portrayed by Dems/liberal media more as a reaction by GOP selecting its own female (overshawdoing Palin's own remarkable assets), rather than McCain taking the lead on this. Selecting Palin now or early (contrary to the punditocracy) will mean McCain will be seen as driving the course of this campaign overwhelmingly, and the DEMS will be seen as merely reacting. And, there's absoultely no down-side to this because even if Hillary is a no-go as VP for Obama, the GOP gains by acting early.McCain the maverick. Palin the maverick. Do it now! There's no reason, and actually substantial negative, in McCain waiting to see what the Dems do first insofar as his picking Palin as VP, because, no matter who Obama picks, Palin is by far (and I mean far) the best pick for McCain and the GOP, especially in this time of GOP woes. The GOP can be seen as the party of real 'change' (albeit I hate that mantra, change, change, bla bla), while not really having to change from GOP core conservative values, which Palin more than represents. My comment: Ted, you said it all. John McCain needs to understand that choosing the usual suspects -- two older white guys with silver hair -- is not a winning combination this year. Few people who know about Sarah and her stellar career doubt she will be President of the U.S. someday, so let's get her front-and-center NOW. 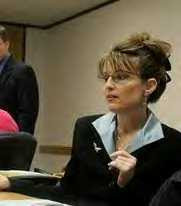 Note: To find out more about the remarkable Sarah Palin, please vote Adam Brickley's site at: palinforvp.blogspot.com. Adam is the founder of the "Draft Palin for V-P Movement." McCain: Fire the Dxxn Lobbyists! Doesn't anybody out there know how to play this game?" The Pastor Hagee endorsement is a disaster of moderate proportions. The resignation of five lobbyist staff members is also a disaster. I have raised questions about what kind of advice McCain is getting from his staffers, who include too many lobbyists and, apparently, too few people who are willing to give the Senator their own "straight talk." I regard the Senator as one of the most honorable men ever to run for President. He is an authentic American hero, but there are mistakes being made in this campaign that are unnecessary. Having people on the staff who are lobbyists for the Burmese junta is almost suicidal. The lobbyists must go, and that includes the talented campaign manager, Rick Davis. They are all lightning rods for the opposition. Surely there are enough non-lobbyists around to run a presidential campaign. The Senator needs to find them -- and quickly. The Campaign staffers did John McCain no favors by recommending that he denounce the North Carolina GOP's anti-Obama ad. He admitted he never saw the commercial. And his staff-generated criticism of it fueled anger among some of the same conservatives he was trying (very unsuccessfully) to pick up with the ill-considered Hagee endorsement. His staff should have warned him about Hagee, and apparently they didn't. So, exactly what good are they? Obama is going to beat the Senator about the head-and-shoulders on the issue of lobbyists. He is going to say that if John can't manage his staff how can he manage the country. And our reply is going to be . . . what? The campaign blunders have to stop. And the staffers who are making them have to go. There are people out there who could help McCain greatly. One of them is my friend from Oklahoma, Sharon Caliendo. One reason she's a friend is that she is one of the best political operatives in the country. Another is the brilliant 21-year-old who is primarily responsible for the national admiration of Gov. Sarah Palin. These people are dedicated to the election of John McCain, and they have no baggage. They are people of great integrity. I'm fairly certain the Senator has not heard of these people. But they've never been on "K Street," and if they make mistakes, they're small ones. The most important quality any staffer possesses is his or her ability to tell the unvarnished truth to the candidate. This is a very bad week for John McCain. Additional Comments: I've had a lot of experience dealing with lobbyists, especially ones associated with the Pharmaceutical Manufacturers Association (now called "PhaRMa"), but also with lobbyists for Phillips Petroleum, Gulf Oil, and other companies. In general, I don't like lobbyists. They make a great deal of money, but gernally has too small a conscience. Okay, two of McCain's staffers had to leave because they were representing the government (i.e., the junta) that controls Myanmar, formerly called Burma. Exactly what kind of people would lobby for a despicable government like the one in Burma, which is currently denying aid to people whose lives are slipping away. Really, are they people a man like John McCain would really want on his campaign staff? Are they people he could trust? Would they sell him out if a better offer came their way? I can't imagine what John McCain and his campaign manager had in mind. In tomorrow's column (up Thursday night by 8 p.m.), I'm going to take Senator McCain to task for some real errors in judgment by his staffers that have led to problems for the campaign. The most valuable staff members a candidate can have are those who will tell him the unbridled truth -- call it engaging in "straight talk." The Senator needs more people like that. This week he fired five staffers. He should never have hired them in the first place. I also suggest two people he should hire immediately (I'm not one of them, although I am a straight talker.) Material about Gov. Palin is below. Alaska Gov. Sarah Heath Palin, mother of a U.S. Army infantryman, comforts a wounded American soldier. I'll be starting to beat the drums for Sarah today. We have three excellent female candidates in Pennsylvania (Melissa Hart, Toni Gilhooley, and Marina Kats) for the House, and if McCain names Sarah, as I beleve he will, it would help every female Republican in the country. She will also help John McCain win Pennsylvania, Ohio, Florida, and Michigan. Sarah has ZERO BAGGAGE. We do not need a ticket of "two old white guys," which sends a message of business as usual. If McCain names Sarah, the message is that she probably will become America's first female President. Mother of a Downs Syndrome child ("Trig"), mother of an infantry soldier ("Track"), female professional, life member of NRA, skeptic about the more extreme views on climate change, ferocious campaigner who's beaten a big-time Democrat, fiscally conservative, extremely bright, wife of a real working stiff ("Todd"), believer in traditional marriage but not anti-gay, beautiful children, a devout Christian who belives God put her on earth to do good works. Gee, what does she bring to the table? She brings, as the Book of Common Prayer puts it, "not less than everything." On my Hillary Supporters site I have started a speculative piece entitled: "Hillary Clinton's Secret Obama Bombshell." Come visit. This piece below is about the band, the Decembrists, a left-wing group, that helped draw the huge crowd for Obama the other day in Oregon. I think you’ll find it fascinating. I doubt very much the Decembrists' band's name refers to something that happened in 1825. The reference to Orwell's "memory hole" is an apt one. UPDATE at 5/21/08 3:44:23 pm:Here’s the person who made the change. The IP address traces to Chicago, Illinois. Wikipedia Removes USSR Anthem Info from 'Decemberists' PageWed, May 21, 2008 at 3:23:21 pm PDTYou have got to be kidding. Earlier today I linked to the Wikipedia page about the band The Decemberists, to point out that in addition to warming up for Barack Obama in Oregon, the band is known for using the National Anthem of the Soviet Union as an introduction to their concerts. That section of the Wikipedia page has now gone down the memory hole. Here’s what it looks like now: The Decemberists - Wikipedia, the free encyclopedia. "The band is named in reference to an 1825 revolt over the Imperial Russian succession (Decembrist revolt). It is not related to the Bolshevik Revolution of 1917, although Meloy has referred to the historical Decembrists as a communist revolutionary group. Their name is also a reference to the atmosphere associated with the month of December." Here’s the page as it existed earlier today: The Decemberists - Wikipedia, the free encyclopedia. "The band is named in reference to an 1825 revolt over the Imperial Russian succession (Decembrist revolt), and is not related to the Bolshevik Revolution of 1917. Their name is also a reference to the atmosphere associated with the month of December. The band’s use of the National Anthem of the Soviet Union as an introduction at many concerts has sparked controversy as it is seen by some as an endorsement of the Soviet system.."
Leftists scurrying around at Wikipedia and reacting to news stories by hiding things that make Barack Obama look bad? Say it ain’t so!It gets pretty blatant when they start trying to hide facts that are completely uncontroversial and undisputed. I had heard about The Decemberists’ intro music long before seeing that Wikipedia entry. "Unbreakable Union of freeborn Republics,Great Russia has welded forever to stand.Created in struggle by will of the people,United and mighty, our Soviet land!" CHORUS:"Sing to the Fatherland, home of the free,Bulwark of peoples in brotherhood strong.O Party of Lenin, the strength of the people,To Communism’s triumph lead us on! 2.Through tempests the sunrays of freedom have cheered us,Along the new path where great Lenin did lead.To a righteous cause he raised up the peoples,Inspired them to labour and valourous deed." CHORUS3. "In the victory of Communism’s deathless ideal,We see the future of our dear land.And to her fluttering scarlet banner,Selflessly true we always shall stand!" Hillary Supporters Equal McCain Voters? I'm cross-posting the following column from my Hillary Supporters for McCain site, which I urge you to visit. Note: If you go to the Hillary Supporters site, you will see some remarkable comments (added noon, Wed.) about Hillary backers who are moving strongly toward McCain: http://hillarysupportersformccain.blogspot.com. Your thoughts on this subject are always appreciated. On my Pennsylvania site, I write about relatively simple policy steps that will dramatically improve education in the U.S.: http://pennsylvaniaforjohnmccain.blospot.com. In Kentucky exit polls are showing that two-thirds of Clinton voters are saying they will not vote for Obama in the General Election. Forty-one percent are saying they will vote for John McCain. That's more than the percentage that say they would vote for Obama in the General Election. Mrs. Clinton won the Kentucky primary by more than 250,000 votes -- an incredibly large number. That's a bigger number -- but not a lot bigger -- than her margin in Pennsylvania. That's why I'm asking Pennsylvania congressional candidates and their supporters to say, "A vote for my opponent is a vote for Barack Obama." That is not the conventional wisdom, but the conventional wisdom is wrong in this case. To my friends running for Congress, I urge you to tie yourself and your campaign to John McCain.All along, I have been asking some very good Republican congressional candidates (most in Pennsylvania) to ally themselves with -- and strongly endorse -- John McCain. However, the other day when a reporter asked Senator McCain about Hillary's continuing her campaign, I didn't believe he exploited the opportunity. He made vague comments about the ups and downs of campaigns, pointing to the time when he was way behind, etc. There's a fire raging in the Democratic Party, and McCain should experiment with pouring some "verbal gasoline" on it. If he doesn't believe they're stealing the nomination from her, he can note that many people do feel that way. Specifically, they believe she's suffering from unfair actions by Howard Dean and friends, along with a media that's "in the tank for Obama." By the way, I agree with those Hillary supporters on that assessment. John McCain and his entire campaign should be reaching out -- now -- to Hillary supporters. The Hillary-ites should know that they're very welcome in the McCain camp.One other step John could take that would keep most of those Hillary supporters (including the 41% in KY) in his camp is to name an outstanding female as his running mate. I believe that female is Gov. Sarah Palin of Alaska.The way to get women elected to the nation's highest offices is to put them in a position to run for vice-president and President. A woman like Sarah Palin has the toughness, integrity, and campaign skills to become a President of the U.S. She deserves the chance to run for that office. We need those Hillary supporters, and we need strong support from women in general. Sarah Palin: First Female President? Note: I sent the following message to several Republican congressional candidates I'm working with this year. Please pass it on to congressional candidates in your area. Thanks. Bulletin for Republican congressional candidates and supporters: In KY exit polls are showing that two-thirds of Clinton voters are saying they will not vote for Obama in the General Election. Forty-one percent are saying they will vote for McCain.That's why I'm asking candidates and supporters to say, "A vote for my opponent is a vote for Barack Obama." That is not the conventional wisdom, but the conventional wisdom is wrong in this case. Tie yourself and your campaign to John McCain. (Please be kind enough to go Congressional Quarterly -- link below -- and vote for Gov. Sarah Palin (scroll down). Gov. Palin is now just one victory away from WINNING CQ Politics' "VP Madness"! She beat out Rob Portman in the Final Four by a vote of 56%-43%, advancing to a final confrontation with Mike Huckabee. I'm very confident in the chances of a Palin victory, but the presidential primaries proved that underestimating Mike Huckabee is a huge mistake. So, let's make sure that we give our favorite governor as much help as we possibly can. PLEASE let as many people as you can know about this poll. Post it on your blog, email your friends, write a note on your Facebook profile, anything to help push Gov. Palin over the top. Win or lose, VP Madness has been a major victory for our movement, but a win here could permanently catapult Sarah Palin into the top tier of the top tier of the veepstakes (at least as far as the media is concerned). Founder, "Draft Sarah Palin for Vice President"
Note from Steve: Adam Brickley, a 21-year-old college student (who's graduating this week in Colorado Springs) is the finest young political operative in the country. Please cast your ballot for Sarah, a pro-life, pro-Second Amendment, pro-military, pro-integrity woman who just might be "Mt. Rushmore material." I said I wouldn't do anything for Tuesday, but it was a fib. Here's a story that appeared in Monday's Anchorage Daily News, which you can't have delivered to your home in th e lower-48. "Palin name keeps popping up on the national political landscape. There it was again, in The New York Times Sunday, suggesting Gov. Sarah Palin might be the woman who becomes president when Hillary Clinton does not. "Sarah Palin, the Republican governor of Alaska, is on many lists - she's known as a reformer as well as for riding a motorcycle and referring to her husband as the ‘first dude.'" "She's already made it into the final round on Congressional Quarterly's VP Madness poll. It's Palin vs. former White House budget director Rob Portman, and Mike Huckabee vs. Minnesota governor Tim Pawlenty. See how she does by the end of today; if she makes it to the final round, voting ends Thursday. The ADN Alaska Politics blog is already taking comments on both snapshots." Republican Party Brand: "Dog Food?" On Tuesday, I'll be taking a very rare day off, but a new column will be up on this blog bright and early Wednesday. I invite to go either to http://pennsylvaniaforjohmccain.blogspot.com and/or to: http://hillarysupportersformccain.blogspot.com. Both of them are (relatively) new and GOOD! Okay, I've now had more than 50,000 (!) visitors to my various blogs. My goal is get 150,000-plus additional visitors by Election Day. If I can somehow accomplish that, as well as get many other bloggers to "adopt" the candidates, those could be major factors in getting one (or more!) my "underdog" congressional candidates elected. 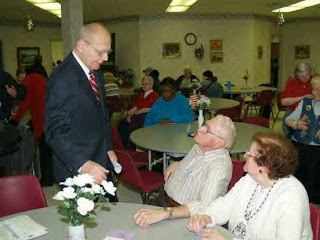 You can read about several outstanding candidates on: http://pennsylvaniaforjohmccain.blogspot.com/. Keep coming back and tell your friends and supporters this site exists. Any ad revenue I can generated from Google AdSense will go to John McCain and Republican congressional candidates. If you'd like to read about some truly superb Republican candidates, please visit my Pennsylvania blog. I'll reprint this column there, but generally they are distinctive. The column on my "Hillary" blog basically deals with Mrs. Clinton's options now that Obama appears certain to win the nomination. It’s come to my attention (and how!) that a lot of Republicans are concerned about Rep. Tom Davis’ recent 20-page memo proclaiming the Republican Party as the equivalent of a “dead man walking.” He said if the “Republican Party brand” was a “dog food” it would be pulled from the shelves. Davis is a 7th term Republican congressman from Virginia’s 11th District (Fairfax County, just outside DC). He’s retiring this year on a huge pension and life-time health benefits for him and his. As a congressman, he’s as “Beltway as it gets.” He’s one of a handful of Christian Scientists in Congress. I hope he doesn’t regard his leaving as one of the operative causes of what he sees as the demise of the Republican Party. His comments don’t frighten me; they irritate me. If the Republican Party has its troubles – and it does – people like him are responsible. He’s one of the Republican “leaders.” Tom Davis, whose voting record is half liberal, half conservative, voted for most of the big spending bills he now decries. He loved his “earmarks,” those wasteful “special projects” made famous by Alaska’s “Bridge to Nowhere.” He never realized that no Republican congressman or congresswoman anymore can support earmarks, because they are invariably wasteful spending that adds to the budget deficit. Tom’s constituents are presumably creating uproar over gasoline prices reaching $4 a gallon. However, Tom voted against drilling in ANWR, one of a number of Republicans who did so. Tom is one of those Republicans who think it’s a good idea to drill for and produce oil in other countries, but not in ours. 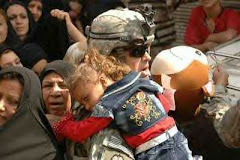 People in Mideast call that hypocrisy, and it’s one reason they refuse to produce additional oil to satisfy our needs. Ralph Waldo Emerson once said, “History is the lengthened shadow of a man (person).” Well, Tom, a political Party is the extension of the people in it. It is not “Frosted Flakes” or a Hyundai car. If you have excellent people, you have a great Party. If you more than your share of Mark Foleys (of nasty e-mail fame), or Duke Cunningham (now in jail for bribery), or Bob Ney (also in jail), you have a Party that needs to rethink who it is and what it wants to be. The Democrat’s “brand” is doing very well either. Right now, the national approval rating for Congress is lower than George Bush’s. It’s at 22%. That figure is a vote on the performance of people like Tom Davis. It’s a failing grade and one people like him richly deserve. The Republican “brand” (i.e., the people running for office) in Pennsylvania is very strong. That’s because the people – Melissa Hart, Marina Kats, Tom Manion, Toni Gilhooley, and Mike Livingston – are outstanding human beings. 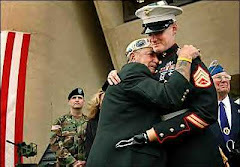 Their life stories are tales of heroism and perseverance in the face of adversity. Tom Davis one of the rudderless “leaders” who helped create the mess in Washington. Now, he’s turned around and, for the first time in his life, discovered there . . . a mess. So, he writes his endless memo in an effort to impress the Washington media types. Spare us your lectures Tom. In Pennsylvania we’re planning to send a much better grade of people to Congress. They're going to solve problems – in national security, in spending, in terrorism threats, in education, and in crime – that you, Tom Davis, barely touched in your 14 years in the House. The Republican congressional candidates in Pennsylvania are going to take back seats we lost in 2006 –and add a couple of surprises for the Democrats. (More on this and related subjects in coming days. The columns will be on my Pennsylvania blog and on the two national ones. My emphasis will be on fairly simple (but occasionally painful) ways to solve our great national problems. Your comments are welcome. On my provocative Hillary Supporters for McCain blog (http://pennsylvaniaforjohnmccain.blogspot.com) I have a new article entitled "Hillary Clinton Deserves Democratic Nomination." It presents a perspective you haven't seen before. Also, please click on the Google "Adsense" links you see to your right. All revenues generated (and, alas, they won't be much) will go to John McCain and other outstanding candidates. On my Pennsylvania blog today, I continue my discussion of how candidates (i.e., Republicans) can win when they're being significantly outspent by their opponents. Thanks for visiting! On the Hillary site, I write often about Democratic politics. I do so in a respectful way, except perhaps when it comes to Obama, who's a total sad-sack. At times, he makes Rev. Wright look good by comparison. When I started the Hillary site, I did wonder if I'd have enough to write about, but that hasn't been a problem. Here's what I'll be writing about there over the next 7-10 days: (1) Will Hillary sit the Election Out? (2) Why are the Clinton's long-time political allies deserting her? (3) Why did John Edward endorse Barack Obama? (Hint: can you say vice-presidency?) (4) Why have Black voters deserted the wife of the man who used to be called "The first Black President?" (5) Why might Obama's almost-total lock on the Black vote actually hurt him in the General Election? (6) Why is the date May 31 critical to Hillary's future and her attitudes about supporting Obama? (And if it's okay for almost all Blacks to vote for a Black person, why isn't it okay for most whites to vote for a Caucasian?) I guarantee your favorite cable network won't be dealing with these issues. Come visit, okay? Pennsylvania, Ohio, and New Jersey visitors, of whom there are many, please visit my blog that deals with Keystone State politics: http://pennsylvaniaforjohnmccain.blogspot.com. Thanks! Senator Edward M. Kennedy in better days . . .
" . . . my good friend, Ted Kennedy." (Barack Obama) Bill and Hillary Clinton refused to kow-town to "Teddy," so the Obama endorsement was payback. John McCain also called Ted Kennedy a "friend." Clearly, the people in DC need a much better class of friends. 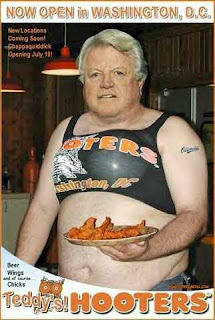 The idol-worship about Ted Kennedy that's going on today on cable TV is sickening. Yes, he's capable of being "amiable," but this is man whose entire life is replete with malicious actions -- from leaving Mary Jo Kopechne to drown, to driving his first wife literally to drink and mental illness, to conspiring with the KGB (scroll down) to steal the 1984 election from Ronald Reagan. .John McCain, among many others, has said respectful things about Teddy. But would John want such a man as a next-door-neighbor? My advice to John is not be on such friendly terms with a person who has done so much harm to other people. After Teddy left Mary Jo to drown, his first calls were not to the fire or police departments but rather to a lawyer and a public relations man, Teddy gave a national speech. He quoted liberally from his brother's Pulitizer-Prize winning book (written by a third-party, Ted Sorensen), Profiles in Courage. Somehow, he seemed to mistake his craven behavior for courage. A sickening display of egomania, but hey, that's our Teddy. If you scroll down to read Professor Paul Kengor's interview about Ted Kennedy's flirtation with the Soviet KGB, you learn a great deal about the Massachusetts Senator. He was very willing to endanger Ronald Reagan's effort to win the Cold War. He saw no problem dealing in a friendly with Yuri Andropov, head of the KGB, and the man in charge of torturing and murdering Russian dissidents. Hey, Teddy thought, "it's okay, because after all the Republican Reagan is the major threat to the world. And maybe the Russians and I can keep Reagan from being re-elected." That's the Teddy being lionized by a bunch of media sycophants on national TV. This is the Teddy, whose brother John said, "Let every nation know, whether friend or foe, that we shall bear any burden, pay any price, to ensure the survival of liberty." Can you imagine such words coming out of Teddy's mouth? I can't. As we're hearing ad nauseam, Ted Kennedy is the apotheosis of liberalism. He believes in collective responsibility -- that is, we're all responsible for "others" in our society. Exactly how we have collective responsibility -- looking out everyone else -- if we don't look out for ourselves is never made clear. Redistribution of income -- although not of HIS great wealth, which is not income -- pays political dividends. It has gotten Ted Kennedy elected seven times in Massachusetts. It's the politics of envy and of class warfare. It doesn't ever mention people pulling themselves up by their bootstraps. If Ted Kennedy, worth $100 million-plus, ever earned a dollar in his life (aside from feeding at the public trough -- it's never been recorded. As one thoughtful observer put it, "Poor people have been voting for Democrats for 50 years -- and they're still poor." When poverty is a source of so many Democratic votes, we can all be sure that poverty will endure as long as the Democratic Party. That is Ted Kennedy's legacy: a pompous, self-absorbed man who has done almost nothing to advance the security and economic growth of his society. If he loved his country a little -- and himself a little less -- America would be a better nation. I don't wish him serious illness, but the U.S. Senate will be a much better place without him. He lacks not just physical courage but the kind of moral courage he needs to be honest about our country and its people. NOTE: If you're looking for the column about Teddy Kennedy (now in the hospital with stroke symptoms) conspiring with the Soviet KGB in the 1980s, you need to scroll down one column. That piece has generated a great deal of interest, and I hope you'll bring it to the attention of your friends and political allies. On my blog focused on Hillary Supporters, I have another column on how the Democrats' "Old Boys Network" (led by Howard Dean and Barack Obama) is unfairly denying Sen. Clinton the nomination. "Quote of the week from Charles Barkley ( for those of you that don't know, he's a former basketball NBA Allstar that is a sports commentator and should run for office with this in-sight)." "Poor People have been voting for Democrats for the last 50 years, and they are still poor." A truth you won't hear from Obama or his allies: If a political party has a solid hold on a certain voting bloc, the last thing it wants to see is that group somehow disappear (i.e., in this case, have the poor get "un-poor"). Paul Kengor, Grove City College professor with explosive new revelations about Sen. Ted Kennedy playing dangerous games with the Soviet KGB to harm the Reagan presidency. Yes, Sen. Edward M. Kennedy of Massachusetts conspired with members of the KGB, including Yuri Andropov, head of the organization, in a failed attempt to deny Ronald Reagan re-election in 1984. Kennedy expressed his deep sympathy with the Soviet leadership in its struggle with President Reagan at the height of the Cold War. The story told by Paul Kengor is in fact true, and it is one of the most appalling ones I've ever heard. It demonstrates not only Teddy's envy and egoism, but his willingness to put Party and (left-wing) ideology above country. It's really a story about Teddy's depravity, something that doesn't really come as news. I put the story up an hour ago on my blog (http://stevemaloneygop.blogspot.com/), and I've already heard a response from Australia! You can read the whole (Paul Kengor) interview in http://frontpagemag.com/. I'll write about it some Friday morning, and add what I say to this piece on McCainNow. Frontpage Interview’s guest today is Paul Kengor, the author of the New York Times extended-list bestseller God and Ronald Reagan as well as God and George W. Bush and The Crusader: Ronald Reagan and the Fall of Communism. He is also the author of the first spiritual biography of the former first lady, God and Hillary Clinton: A Spiritual Life. He is a professor of political science and director of the Center for Vision and Values at Grove City College [Pennsylvania, 40 miles north of Pittsburgh]. FP: Paul Kengor, welcome back to Frontpage Interview. Kengor: Always great to be back, Jamie. FP: We’re here today to revisit Ted Kennedy’s reaching out to the KGB during the Reagan period. Refresh our readers’ memories a bit. our earlier interview back in November 2006. In my book, The Crusader: Ronald Reagan and the Fall of Communism, I presented a rather eye-opening May 14, 1983 KGB document on Ted Kennedy. The entire document, unedited, unabridged, is printed in the book, as well as all the documentation affirming its authenticity. Even with that, today, almost 25 years later, it seems to have largely remained a secret. FP: Tell us about this document. Kengor: It was a May 14, 1983 letter from the head of the KGB, Viktor Chebrikov, to the head of the USSR, the odious Yuri Andropov, with the highest level of classification. Chebrikov relayed to Andropov an offer from Senator Ted Kennedy, presented by Kennedy’s old friend and law-school buddy, John Tunney, a former Democratic senator from California, to reach out to the Soviet leadership at the height of a very hot time in the Cold War. According to Chebrikov, Kennedy was deeply troubled by the deteriorating relationship between the United States and the Soviet Union, which he believed was bringing us perilously close to nuclear confrontation. Kennedy, according to Chebrikov, blamed this situation not on the Soviet leadership but on the American president---Ronald Reagan. Not only was the USSR not to blame, but, said Chebrikov, Kennedy was, quite the contrary, “very impressed” with Andropov. Kengor: The thrust of the letter is that Reagan had to be stopped, meaning his alleged aggressive defense policies, which then ranged from the Pershing IIs to the MX to SDI, and even his re-election bid, needed to be stopped. It was Ronald Reagan who was the hindrance to peace. That view of Reagan is consistent with things that Kennedy said and wrote at the time, including articles in sources like Rolling Stone (March 1984) and in a speeches like his March 24, 1983 remarks on the Senate floor the day after Reagan’s SDI speech, which he lambasted as “misleading Red-Scare tactics and reckless Star Wars schemes.”Even more interesting than Kennedy’s diagnosis was the prescription: According to Chebrikov, Kennedy suggested a number of PR moves to help the Soviets in terms of their public image with the American public. He reportedly believed that the Soviet problem was a communication problem, resulting from an inability to counter Reagan’s (not the USSR’s) “propaganda.” If only Americans could get through Reagan’s smokescreen and hear the Soviets’ peaceful intentions. Kengor: So, there was a plan, or at least a suggested plan, to hook up Andropov and other senior apparatchiks with the American media, where they could better present their message and make their case. Specifically, the names of Walter Cronkite and Barbara Walters are mentioned in the document. Also, Kennedy himself would travel to Moscow to meet with the dictator.Time was of the essence, since Reagan, as the document privately acknowledged, was flying high en route to easy re-election in 1984. FP: Did you have the document vetted? Kengor: But this electrifying revelation stopped there; it went no further. Never made it across the Atlantic. Not a single American news organization, from what I can tell, picked up the story. Apparently, it just wasn’t interesting enough, nor newsworthy. Western scholars, however, had more integrity, and responded: they went to the archives to procure their own copy. So, several copies have circulated for a decade and a half.I got my copy when a reader of Frontpage Magazine, named Marko Suprun, whose father survived Stalin’s 1930s genocide in the Ukraine, alerted me to the document. He apparently had spent years trying to get the American media to take a look at the document, but, again, our journalists simply weren’t intrigued. He knew I was researching Reagan and the Cold War. He sent me a copy. I first authenticated it through Herb Romerstein, the Venona researcher and widely respected expert who knows more about the Communist Party and archival research beyond the former Iron Curtain than anyone. I also had a number of scholars read the original and the translation, including Harvard’s Richard Pipes. Hillary as McCain's V-P Choice? TOMORROW (FRIDAY): EXPLOSTIVE REVELATIONS ABOUT TED KENNEDY'S IMPROPER RELATIONS WITH THE SOVIET KGB IN THE REAGAN ERA. Got the following from Kathy Morrison: Please go vote, okay? Hi Steve,If I remember right you've helped start a number of state blogs? I have a McCain States blog http://mccainstates.blogspot.com/ that I'd like to fill out some more. If you have a list of state blogs could you forward it to me?Also, just submitted your Hillary for VP article to Real Clear Politics, thought it might grabs some votes/attention...http://realclearpolitics.com/readerarticles/?period=allKathy was right. Note: If you've read part of this piece before, please scroll down to see additions made on Thursday. The suggestions in his column are so important that I want to leave it up for the entire day of May 14. It is critical for the country to elect John McCain, but it's equally important that he not face an intransigent Democratic Congress that hamstrings his ability to govern. 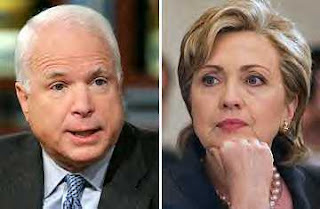 McCain and Senator Clinton need to speak candidly about how they can both best serve their nation. Yes, there are problems with what I suggest, but there are more problems if we continue in Washington, DC with "business as usual." McCain said today that we can't continue to have elections that are nothing more than generators of "a battleground for the next election." As John McCain just said, "We belong to different parties, not different countries." The following exchange that took place on http://mccainnow.com/ speaks for itself. Serious times demand bold actions. Country must transcend Party. Love to hear your thoughts. "There's an old saying that you drop your bucket in the well where water is. Sen. Clinton has a lot of water in her well (in the form of voters). Does she think John McCain would make a better President than Obama? Of course she does, but to say so might put her in the Democratic 'Hall of Infamy.' She can send signals though." "I could not agree more with your opinion. Quite actually, in light of the absolute need to unify this country which faces the gravest challenges in recent decades and on so many dimensions, I dare to propose an outrageous idea: Nominate Hillary as John's candidate for VP. Anything to stop the empty suit with his disastrous ideas which could take the US as well as the entire free world to the brink of the abyss, is good enough for me." "Great minds think alike? :-) I sincerely hope John McCain and Mrs. Clinton have some serious, private discussions about running as a "national unity" team. Our beloved country -- and I truly believe both she and John love it dearly -- faces problems we haven't seen since The Great Depression and World War II. Senators McCain and Clinton need to look deeply into their hearts and then do what is best for the country. I'm sure there will be a lot more written about this by others, but I deeply support what you have suggested. "I'm putting this exchange up on my Hillary Supporters for McCain blog: http://hillarysupportersformccain.blogspot.com./Thanks Michel, for making a a truly bold statement." 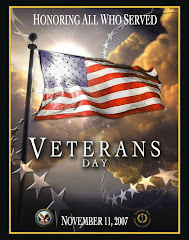 Note to visitors: Your comments (on this blog or by e-mail to TalkTop65@aol.com) are sought and welcomed." "Now that John Edwards has also come out and backed Obama for sure something smells a bit fishy in all these Democrat's positions on Obama. He is one person that no one and I mean no one appears to know much about this man. So why in the World are all these Democrats, along with the Super Delegates backing a man they themselves know nothing about. I also think that the people's votes should certainly count more than any super delegates vote does. As you mentioned look at the bigger states that Senator Clinton has won over Obama. If the super delegates are going to make the decision, instead of the American people then why are we even bothering to vote? Interesting what you've written about here for sure. Something we'll be keeping an eye on for sure. John McCain is the one and only man for our new Commander-in-Chief." "Many years ago a guy named Ralph Ellison (a Black man) wrote a great novel -- his only one -- called The Invisible Man. That's Barack Obama, the man no one knows. "Fifty-one percent of WV DEMOCRATS said they believe Obama shares Rev. Wright's beliefs. West Virginians may be wiser than the media knows. Michel and I have suggested a radical step for Sen. McCain. I'm interested in what people say about it. My country means everything to do me, and I'm sure it also does to John McCain. We shall see what it means to Sen. Clinton." Get a Sarah Palin Shirt! 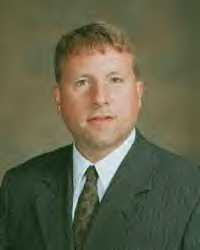 Steve Maloney is a political activist and writer living in Western Pennsylvania (Ambridge, Beaver County). I've taught English and American literature (and writing) at Wm. & Mary and the University of Georgia. I've worked as a speechwriter for many huge companies -- Phillips Petroleum, Gulf Oil, USX (U.S. Steel), Aetna, Merck, Lilly, and many others. I've written two books and am engaged in writing two others. I live now in an old "mill town" (the kind Obama called "bitter") in Beaver County, 15 miles from Pittsburgh. I love it here. My main activity in 2010 will be to take every step necessary to help Republicans win back the House . . . and to add six or more US Senate seats. First things first: after the Nov. election, we can focus on winning back the presidency. I will be working directly with as many as 20 candidates for federal office. You can e-mail me at: TalkTop65@aol.com. God bless you all. My blog is worth $41,775.96.